Harry Page spent most of his professional life working in semiconductor and networking companies. “This has provided exposure to and awareness of how solutions can be built from the sensor up by combining the best elements of semiconductor, hardware, software and professional services to deliver compelling solutions to our customers’ applications and use cases,” he said. 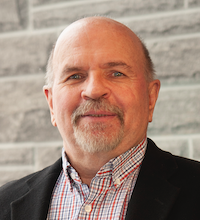 Today, as President of Pleora, a company in the vision and imaging market, Page leads an Executive Team that has had similar career experiences. Page explained that having such a background provides Pleora with a unique perspective on how to approach customer problems and deliver differentiated solutions. 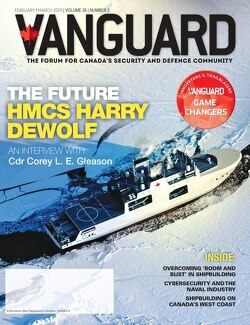 Harry Page was selected as a Vanguard Game Changer for the February/March 2019 issue. As President of Pleora, my role is to lead the definition of our market growth strategy and ensure we realize the potential available to the company. As you would expect, it starts with creating an effective team, building an organizational capability that allows us to not only identify and select strategic opportunities but, equally important, to deliver upon them. That requires creating a culture that stimulates people. Clearly, corporate success relies on the talents, strengths, and expertise of our employees. My role is to ensure our team is challenged, engaged, motivated, and empowered to help us navigate our course towards continuing growth. Underpinning this is creating an environment with open and honest communication, complemented by widespread corporate transparency. As Pleora became more involved in the defence sector, I saw several troubling behaviours that seemed to dominate the industry. The most widely discussed is the practice of bolting on incremental functionality to existing platforms in a manner that, while intended to provide increasing levels of information and awareness, actually makes the situation less effective. There’s a fundamentally flawed approach to defence sector capabilities in my opinion. The broader industry (including government agencies, funding organizations, academia, etc.) spends vast sums of money on fundamental research to discover new enabling technologies. Then industry OEMs commercialize this new technology in product offerings that are intended to provide new or enhanced capabilities. Once the new technology becomes available, significant training efforts are required for end users. This approach needs to be inverted. Fundamental research needs to continue to innovate, and companies are needed to commercialize technologies. But when it comes to providing fundamentally better capabilities to military personnel, the product definition must begin with the user. Defining the situations they find themselves in, the goals that they must accomplish in a wide range of scenarios and use cases is key to delivering a product that is conceived and designed with a crew-centric approach. I recently attended a situational awareness conference in the UK. During the event, a large defence sector OEM presented a use case of a new technology development. After spending considerable time defining the product, executing on development, and then ensuring the product performed to the defined requirements, they enlisted the military in a field trial. The feedback was sobering. I’m paraphrasing, but the feedback to the OEM sounded like this: “You could have deleted about 90 per cent of what you put into the product, and it would have been a great addition to our capabilities.” I’m sure the OEM was convinced that everything they put into the product was needed, but the lack of direct user feedback at the definition stage led them to create a product that was over-engineered and eventually under-performed from an end-user perspective. We had a similar experience when we started to plan a new approach to managing video distribution within a military vehicle. We had created some scenario and use-case hypotheses on what would be attractive functionality. We then met with combat-experienced end-users and were quickly disabused of the usefulness of several of the capabilities we had anticipated as being required. It was a very quick and prophetic learning exercise for our team. There is a huge opportunity to deploy significantly better capabilities to the defence sector user community. But it must begin by understanding the end user, their pain points, and what they need to achieve under a variety of scenarios and mission needs. Beginning with that will deliver fundamentally better capabilities to military service personnel! The opportunity for a company like Pleora to make a difference in areas that truly matter. Over the past few years, we have seen our core expertise – the capture and real-time transport of high-definition, data-intense images to centralized processing or distribution nodes – becoming fundamental requirements in intelligent imaging applications where visual information is used to rapidly and reliably make critical decisions. When a process, procedure or mission is critically dependent on receiving sensor information without delay or loss of data integrity, then you need Pleora technology in your video network. Realizing that potential as a company is a consuming goal but one that will bring tremendous benefits to our end users, employees and stakeholders alike. I’ve had the extraordinary benefit of working with many wise, accomplished and genuinely caring individuals during my career. As a result, there is a compilation of advice that continues to guide me. This includes an extreme focus on the customer’s experience, and only working on things that truly matter. Linked to this, you must continually improve to even achieve status quo, due to continually shifting environmental factors. Recognize that status quo is really the first step to irrelevance! Perhaps the most important advice is focusing on time. One of my most admired mentors once told me that the only thing I will ever run out of is time. I firmly believe there is no room for organizational politics or game-playing in any company I lead. We have more than enough real work to do, and don’t need people creating agenda-driven barriers to progress. My management philosophy is pretty simple but one that has proven to work for me repeatedly. It begins by making sure that it is clear what we are trying to do and what is expected from people. I firmly believe that it is impossible to over-communicate when it comes to organizational purpose, goals and performance. Then make sure that people have the skills, tools and resources to be successful. Then comes the hard part: get out of their way and keep other people out of their way. Rounding this out, keep the communication and feedback channels open and free of distortion. Then ensure that you recognize people for their accomplishments and successes. This is an interesting question. I think too much attention and publicity is focused on companies who innovate in areas that really don’t matter. Lauding a better running shoe, a bigger screen smartphone or an application that lets you get any dinner delivered to your door in 20 minutes is superficial in my mind. For me, true innovators are organizations that change the way we work or live in a positive and sustainable way. Things that change the quality of life, education and the environment, for example. The larger usual suspects (e.g. consumer goods or services) often get the headlines, but I continue to be amazed by small, sparsely funded organizations that have a great idea and a passion that truly changes the world. Don’t let others define or control your ability to succeed. There will always be obstacles and uncontrollable factors that can be barriers to your future. Regardless of how well thought-out your strategy, you can never totally guarantee your success, due to factors beyond your control. But you can always guarantee your failure by not trying in the first place. Don’t be afraid to follow your goals and do something! Game Changer: Jake Jacobson, Vice President, Business & Corporate Development at Babcock Canada. Game Changer: Tim Van Holst, President, HCL Logistics Inc.